Home Science & Tech If I could turn back time…. Digital computing is performed by breaking everything down into a sequence of ones and zeros, known as bits. 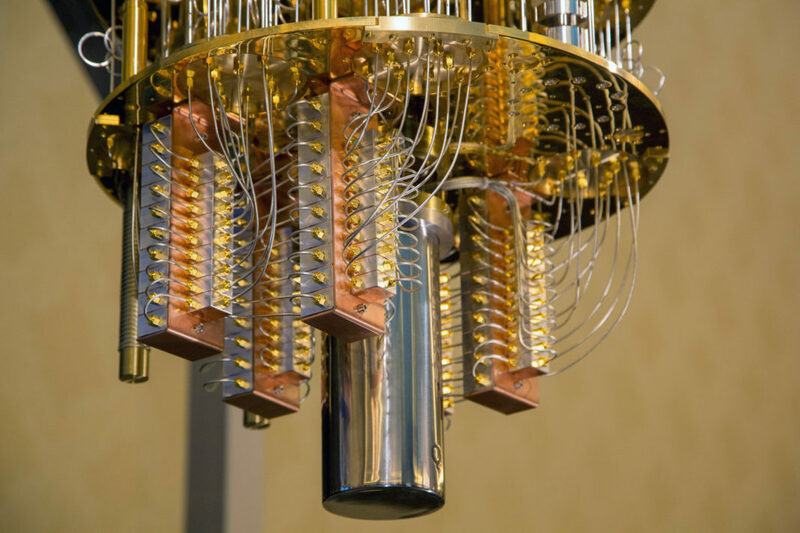 Quantum computers vary from this, in that instead of using bits, they function off of qubits (quantum bits), devices that function off of quantum mechanics to create many different states for which each qubit can exist in (not just ones and zeroes). An issue with this, however, is that qubits are constrained by the uncertainty principle. In other words, limiting the space in which a particle can move makes it more difficult to determine their momentum and vice versa. This means that where digital computers can continuously perform a repeated sequence, quantum computers become much more complex, having to work exclusively off of probabilities to run computer functions. This was, however, until recently when researchers at the Argonne National Laboratory in Illonois developed a means to virtualy reverse time for the tiny particles that quantum computers opperate off of. Now, in this case, reversing time refers to being able to reset the particles that the computers opperate off of to their original state. This may sound simple at first, but take for example, the situation of being at a bowling ally. When the ball strikes the pins, some of them fall down. On a digital computer, the pins can only be standing or knocked down. Therefore, repeating a simulation is only a matter of standing all the pins back up. In a quantum computer, the pins can fall in all different directions, and at different speeds. The ball can be rethrown, but the final outcome will always be different. Thus, the only way to ensure that the results would be the exact same would be to rewind time until the moment just after the ball is thrown. That is the same situation that was created by the American and Russian researchers working on this project. In most scenarios involving two qubits, that very initial condition was able to be reproduced. Unfortunately, the likelihood of the experiment failing increases with the number of qubits involved. Three qubits only ran a 50 per cent success rate. However, as the experiment can be reproduced using more and more qubits at once, larger and larger operations can be carried out with this as a part of their function. This means that simulations run on a quantum computer could be able to repeat partial operations exactly. Because quantum computers operate off of probability, operations will be able to run much more efficiently than before. Unfortunately, modern quantum computers are still fairly limited in their capacities. But this innovation could have an influence in the near future beyond what has already been predicted.